Getting to know Swivle begins by learning how to find files. You could use our demo files for this, but of course you can also upload your own files! Here we describe the various ways in which you can locate a file in the Pro client (the default interface of Swivle). 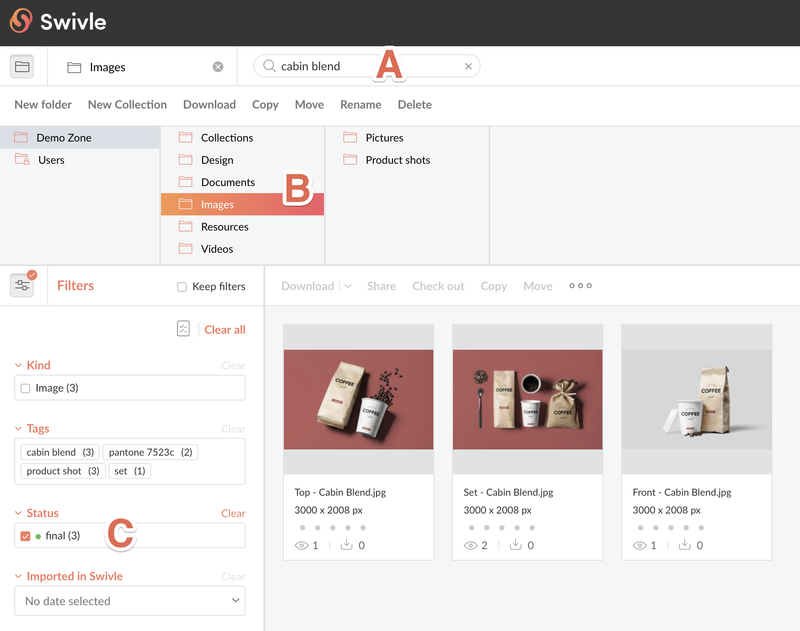 Example: Here, all 3 methods are used: a search term "cabin blend" is entered in the Search box (A), a folder named 'Images' is selected (B) and the search results are filtered to show images which have the status 'final' (C). Want to know more about searching? Please read our how-to article about searching.